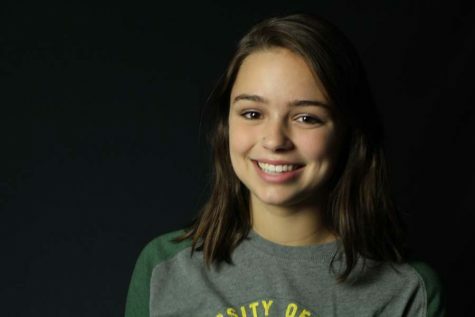 A nationally award winning photo-journalist, a board member with West Linn united, and fluent in Japanese, Gigi Schweitzer is more than just the Editor-in-Chief of the Green and Gold yearbook. Balancing these obligations takes a lot of time, and you're likely to find Schweitzer in the yearbook lab long after school has ended. "It takes so much work" Schweitzer says "and on the bad days, you start to question if it's worth it. But there's no better feeling than when you finally print. Seeing the completed book, knowing that you've helped to save all those memories, really makes you feel a sense of pride." While Schweitzer says she enjoys all aspects of journalism, she has a special passion for photography. "There's something incredible about freezing those moments in time" Schweitzer says.